Crystal Palace vs Man City, Premier League: What time is kick-off today, what TV channel is it on and what is our prediction? France international Mamadou Sakho has completed his permanent move to Crystal Palace from Liverpool following a successful loan stint at Selhurst Park last term. 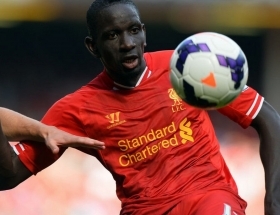 Crystal Palace are reportedly on the cusp of agreeing a deal for Liverpool outcast Mamadou Sakho. The 27-year-old has not featured for the Reds since his fallout with manager Jurgen Klopp in the summer of 2016. West Brom manager Tony Pulis would like to sign Mamadou Sakho before the transfer window closes. WBA are looking to bring in defensive reinforcements should two of the club's top players leave this coming week. West Bromwich Albion have reportedly emerged as surprise candidates to sign Liverpool defender Mamadou Sakho ahead of next week's transfer deadline. Having rejected an initial £18 million offer for Evans, West Brom have made it clear to Manchester City that they will only let the Northern Ireland international leave for £30 million. Frank de Boer is in a bit of a crisis after a dismal start to the Premier League season and desperately wants to bring in new players before the transfer window shuts in 11 days. West Bromwich Albion have approached Liverpool with an enquiry about signing French defender, Mamadou Sakho, who has not played for the Anfield club since the 2015-16 Premier League season. Crystal Palace boss Frank de Boer has admitted that he is unsure whether the Eagles could retain the services of Liverpool defender Mamadou Sakho. The France international was a huge hit during his loan spell at Selhurst Park in the second half of last season. Manchester United defender Timothy Fosu-Mensah has been given the green light to seal a season-long loan move to Crystal Palace. Crystal Palace boss Frank de Boer is weighing up a loan move for Manchester United defender Timothy Fosu-Mensah. Crystal Palace have been told by Liverpool that if they want to see Mamadou Sakho return to Selhurst Park this season, they will have to sign him on a permanent deal. To make matters worse for Palace, Sakho's current side have added that they will not budge on their £30 million asking price. Arsenal are said to want at least £20m in order to offload defender Calum Chambers in this summer's transfer window. The England international enjoyed a decent spell on loan with Middlesbrough last term, and this has attracted interest from Crystal Palace. Crystal Palace are keen on sealing a permanent deal for Arsenal defender Calum Chambers, who impressed in his loan spell with Middlesbrough last term. Crystal Palace have completed their first acquisition of the summer by agreeing a season-long loan deal for Chelsea and England under-21 midfielder Ruben Loftus-Cheek. Thomas Vermaelen could be given the opportunity to end his miserable Barcelona career by returning to the Premier League with Crystal Palace. New manager Frank De Boer sees him as an ideal improvement to The Eagles defence. Crystal Palace are planning a shock raid to sign Ajax defender Davinson Sanchez ahead of the likes of Chelsea and Barcelona. Crystal Palace are lining up a bid to bring Sevilla defender Adil Rami to the Premier League this summer. The France international has two years left on his contract with the La Liga club. Lazar Markovic, who has struggled to break into the Liverpool squad since his move from Benfica, is a target for fellow Premier League side Watford. After impressing during a loan spell with Crystal Palace during the second half of the Premier League season, Tottenham Hotspur could be preparing to offer defender Mamadou Sakho an end to his Liverpool nightmare.